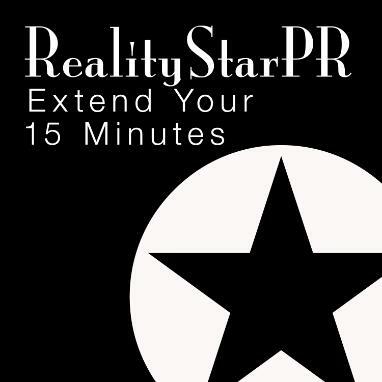 Reality Star PR was founded by seasoned public relations and branding expert Shakira M. Brown. Shakira has nearly 20 years of experience in public relations, television production, branding, marketing and website strategy. She has won over 12 industry awards in various disciplines for her work. She has worked for ABC, CBS, VH-1, NBC, MSNBC, and HBO in various production capacities honing her skills and knowledge of the television industry. She is recognized expert and has been been featured in PRWeek, Brandweek, Woman's World, Smartmoney.com, Working Mother, Creditcards.com, Black Enterprise, AOL Money & Finance, Plastic Surgery Practice Advisor, and NJBIZ, among many others for her knowledge and insights. As a publicist, Shakira’s clients have included: Chef Personality - Justin Antiorio (TV’s Hell’s Kitchen); Russell Simmons, founder of Def Jam and Phat Farm empire; Mort Walker, creator - Beetle Bailey comic strip; and Patrick McDonnell, creator – Mutts comics; MSNBC.com; BET.com; Dr. Frank Newport, editor-in-chief, The Gallup Poll; Columnist and noted Immigration Attorney Dr. Allan Wernick and Russell Simmons, founder of Def Jam and Phat Farm empire, among many small and large businesses. Shakira has successfully placed her clients in major media outlets and events such as The Today Show, TheDailyMeal.com, Atlantic City Food & Wine Festival, The Wall Street Journal, the Associated Press, Businessweek (print and online), Fortune, Forbes, The Los Angeles Times, Financial Times, New York magazine, Lifetime Television, USA Today, The New York Times, National Public Radio(NPR) and many other national, regional/local television affiliated networks and radio stations nationwide. Prior to her career in public relations, Shakira produced and/or worked on programming for over five years for CBS News, MTV Networks, HBO, ABC Networks and NBC News, MSNBC and television network affiliates in New York and Boston. As a producer at MSNBC, Shakira produced daily news broadcast and served as producer for the network’s daytime weekday and weekend news broadcasts where she produced programming for Brian William (NBC Nightly News), Ann Curry (Today Show), Steve Capus (president, NBC News), Soledad O’Brien (CNN), Lori Stokes (WABC News), Dan Abrams (Good Morning America legal analyst) and many other recognized broadcasters. Shakira is a voting member of the National Academy of Television & Arts Sciences, commonly known as the Television Emmy Organization. She is also a media council member with Gerson Lehrman Group Research, a network of consultants, physicians, scientists, engineers, attorneys, market researchers, and other professionals from around the world. Shakira has been a member of the Public Relations Society of America (PRSA) and previously served as chair of its National Financial Communications section. She also served as diversity chair on the executive board for the PRSA-NJ chapter. She also previously served on the Board of Trustees for TV-36, a local public access television station serving the five New Jersey towns of Berkeley Heights, Millburn/Short Hills, New Providence, Springfield and Summit.